Oh beer. A trustworthy, loyal companion that’s always there when you need it the most. Beer never lets you down, loves you on your worst days and never argues with you or breaks your heart. And that’s why you’re in love. If you relate to any of these points below, you’re probably in a committed relationship with your beer. And believe us, we think it’s the one. You’ve cleared out a shelf in your fridge that is now the designated beer shelf. Your phone is filled with beer memes and pictures of beer. Because beer understands you and always know how to make you smile. Not only do you drink beer, but you eat it too! 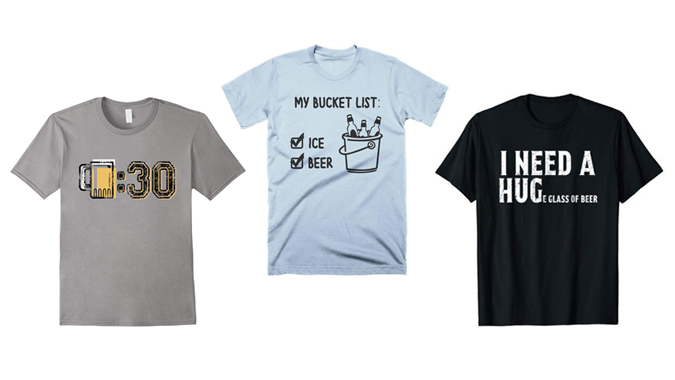 You own more than one beer-related t-shirt. And wear it often. Maybe even a little too often. Your beer shirt may need a wash.
You’d rather spend a Saturday night in drinking beer alone than going out with friends. Because your fridge will never cut you off. 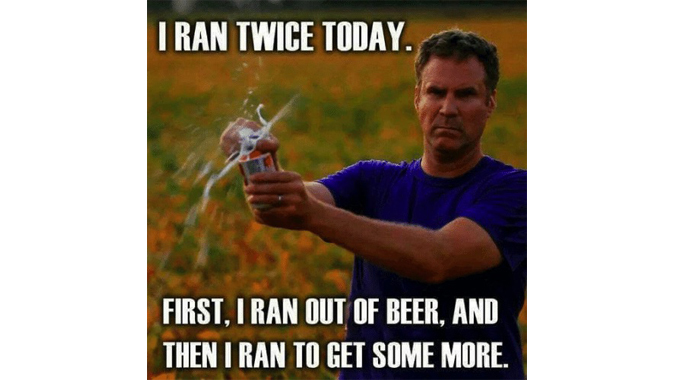 Your only form of exercise is running to the liquor store for more beer. …And you have the beer belly to prove it. 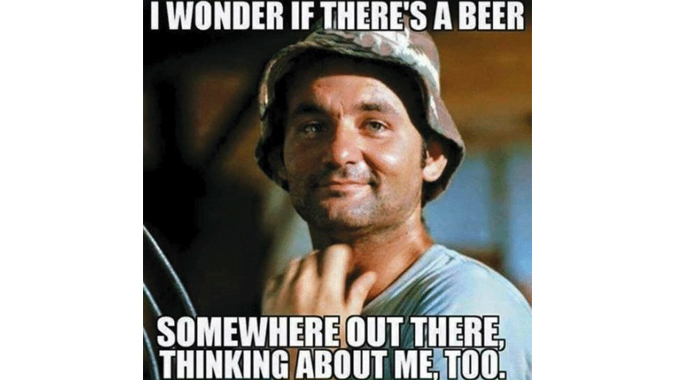 Beer is the last thing you think about when you go to bed and the first thing you think about in the morning. You plan all your meals around what beer you’re going to drink with it. 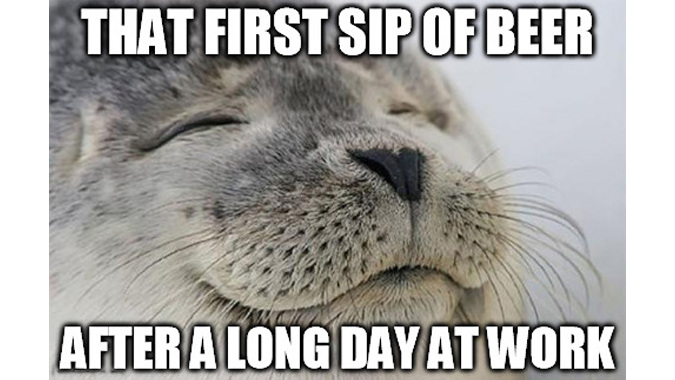 All you can think about at work is going home to a nice, cold brew. You won’t go to any restaurant that doesn’t have an up to par beer menu. You no longer have any friends because you’ve devoted your life to beer. Want to learn how to get your friends back and potentially turn them into craft beer drinkers? Click here. Beer lasts no longer than a few days in your fridge because you don’t want the beers to feel “unwanted”. You added beer to your budget planning spreadsheet because it’s a necessity in your life. You’ve tried to brew your own beer at least once… and still drank it even though you knew it wasn’t very good. You might be a craft beer snob, but you still have a soft spot in your heart for at least one mass-produced beer… Even if you won’t admit it. If you thought to yourself “That is so me!” after reading this, you might be in a relationship with beer! Treat your better half this Valentine’s Day and plan a romantic night with your one true love… Beer. 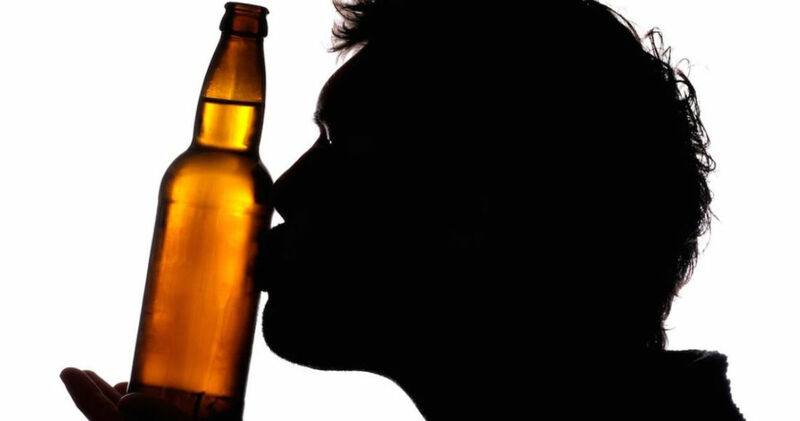 If you’re worried that your relationship with beer (or any other alcoholic substance) is getting a little too serious, click here to learn more on how to be a responsible drinker. Need a good laugh? 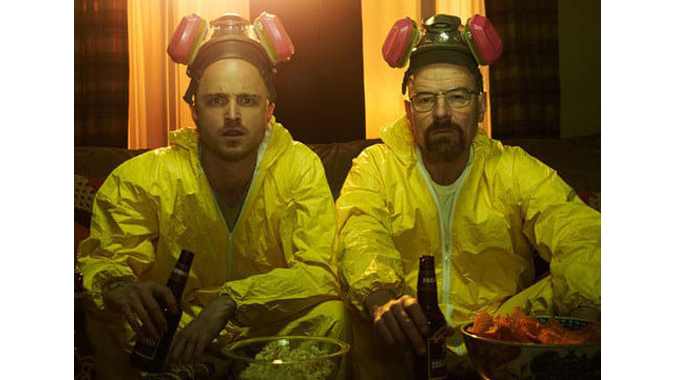 Check out these top 5 must-watch funny beer commercials!